Dog Show Calendar Sale - Virginia Federation of Dog Clubs and Breeders, Inc. 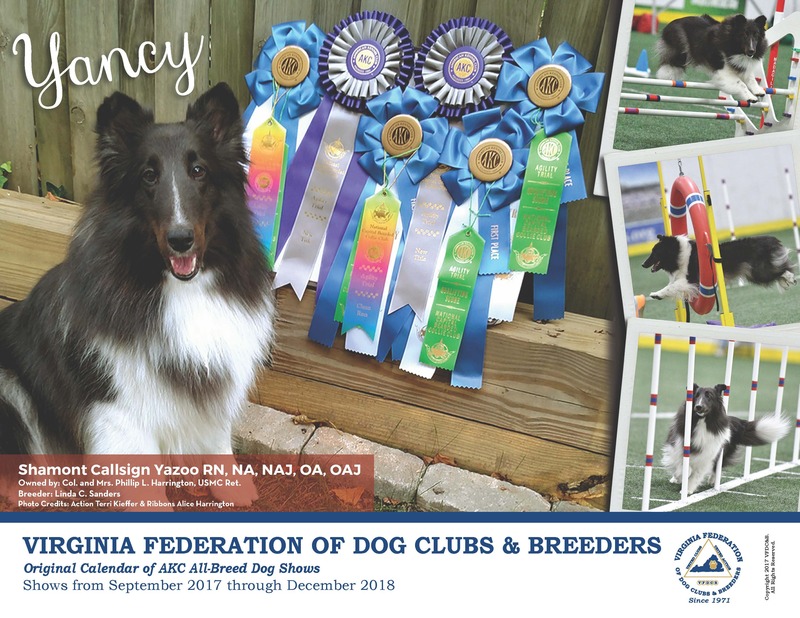 This year the VFDC&B published a 16 month Show Calendar with the upcoming AKC shows in the USA from September 2018 through December 2019. This is a must have for anyone serious about showing dogs. Proceeds go to continue the Federation's work on behalf of purebred dogs. CALENDARS - $6 each, includes shipping. You may pay using PayPal or by Check. Once payment is received, calendars will be mailed. VFDC&B Delegates will be able to pickup their calendars at the next meeting.